Thanks to Now-Again Records, producer Eothem Alapatt, and author Lance Scott Walker, the story and recordings of drummer Bubbha Thomas and his spiritual jazz group, The Lightmen Plus One, are receiving new interest. A native of Houston’s Fourth Ward during the era of segregation, Thomas decided to hit the road in the early ‘60s and tour with an R&B backing band. Upon his return to Houston, his interests shifted to jazz as well as community activism, education and journalism. Thomas developed a powerful voice as editor-in-chief of the grassroots newspaper Voice of HOPE, and founded Houston’s Summer Jazz Workshop which continues to this day. In 1970, his newly-christened The Lightmen Plus One ensemble released their debut album, Free As You Wanna Be, on George Nelson’s Judnell label. 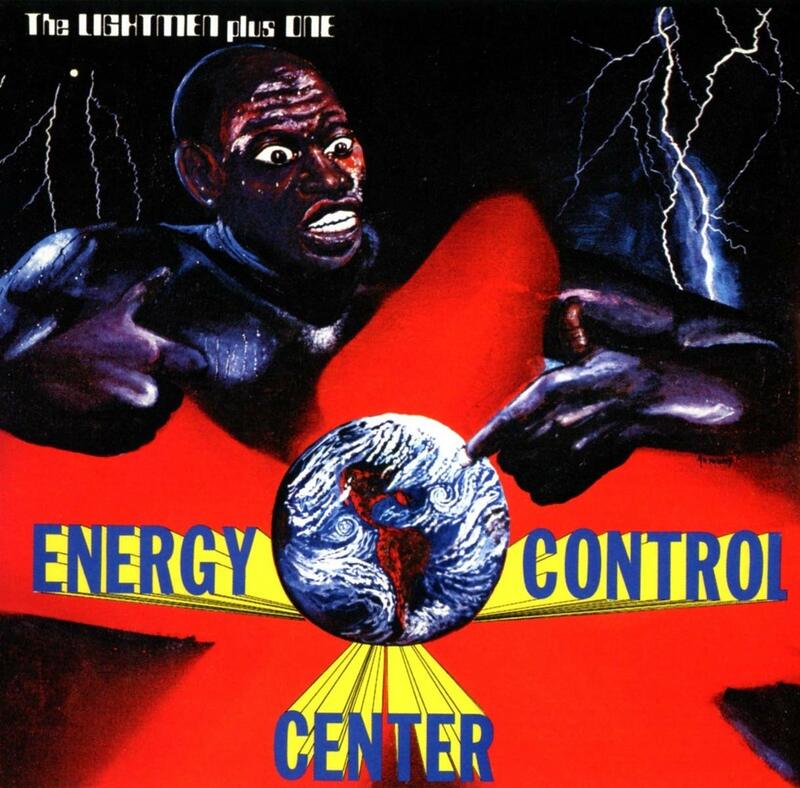 Energy Control Center, released in 1972 on Thomas’s short-lived label, Bubbha’s Lightnin’ Records, is considered the group’s masterpiece. The album is steeped in free jazz, funk, and futuristic sound effects as well as political commentary. For example, printed on the back of the record’s original jacket was a quote from a poem by Bubbha’s friend Thomas Meloncon: “Please prophets, pull out your musical weapons, and start war.” The title track indeed hints at incoming mortar fire, which might be expected for a Vietnam War era project. Performers on the album include Thomas, James Johnson and John Harvey on percussion; Marsha Frazier (the “Plus One”) on keyboards, mbira and flute; Ed Rose and Don Patterson on electric bass; Truit Tidwell on synths; and a tight horn section featuring Joe Singleton on trombone, Doug Harris and Virgil Solomon on saxes, and James Hensley and Pat Williams on trumpet. This definitive two-disc reissue, remastered from Bubbha’s original master tapes, also includes previously unreleased tracks: “All Praises to Allah” (cut from the original release), as well as alternate takes and four of Thomas Meloncon’s singles including “Bullets of a Gun.” The extensive booklet with liner notes by Lance Scott Walker provides a detailed history of Bubbha Thomas and his importance, both musically and politically, to Houston. Note: Now-Again has also reissued two additional albums by The Lightmen Plus One: Fancy Pants and Free As You Wanna Be. This entry was posted in Jazz and tagged Brenda Nelson-Strauss, Bubbha Thomas, CD review, Energy Control Center, Eothem Alapatt, free jazz, Houston, Jazz, Lance Scott Walker, Now-Again, spiritual jazz, Texas, The Lightmen Plus One, Thomas Meloncon by aaamc. Bookmark the permalink.